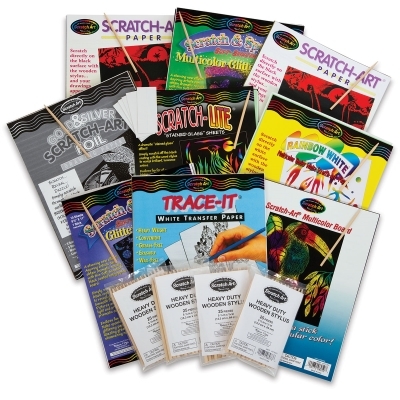 Contains 7 of the most popular Scratch-Art Papers and Boards, in 8½" × 11" size. Enough to create 86 masterpieces, or cut each piece in half to provide materials for 172 students. ® Scratch-Art is a registered trademark of ® Melissa and Doug.